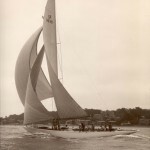 Designed and built for Harold S Vanderbilt with the sole purpose of racing and which led to great involvement of Sparkman & Stephens with the 12-Metre class. 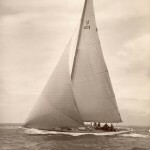 Vim was the first twelve to have rod rigging and an aluminium spa package and in the 1939 season in England she beat such famous contemporaries as Tomahawk and Evaine. 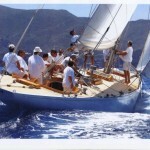 She inspired the build of Gretel and remained the benchmark for other twelves for over the next 20 years. Vim was restored in 2004. LOA m / ft: 21.18m / 69' 7"
LOD m / ft: 21.18m / 69' 7"
LWL m / ft: 13.71m / 44'9"
Draft m / ft: 2.67m / 8'7"